Its no secret that I adore Middle Eastern food , I love the generous use of fresh produce , olive oil and simple clean flavours . I specially enjoy mezze ....which is a term to describe little plates of food that are brought in before the actual meal . I love my hummus , muhmarra , pickled beetroots , baba gnaoush and tabouleh salad . But most of all I love my Labneh . Labneh is just full fat yogurt thats strained to let all the whey (liquid) drain out for a few hours so that you end up with a creamy , tangy yogurt cheese . 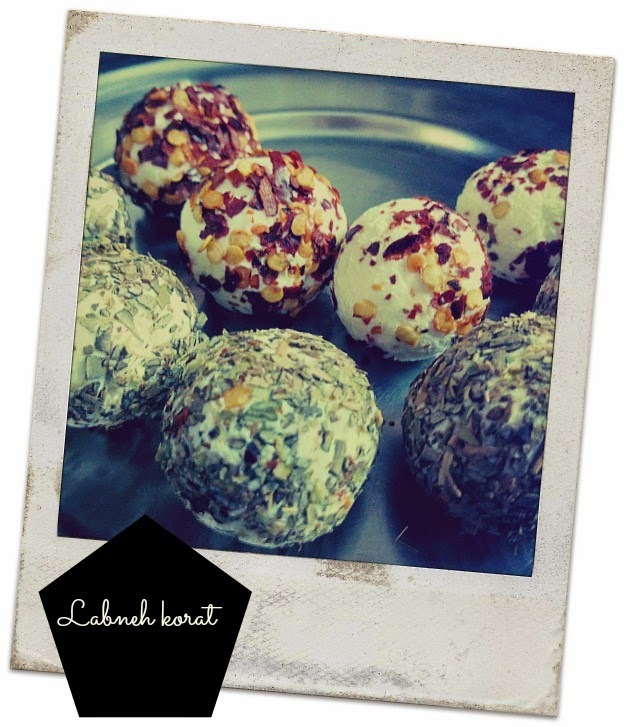 Labneh Korat are simply savory little balls of yogurt cheese that are coated in dried herbs and drowned in olive oil . 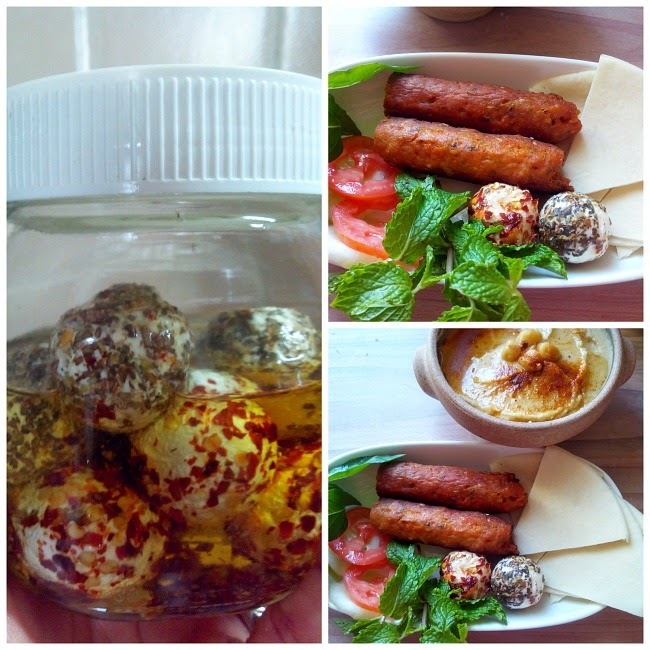 They taste FANTASTIC on toast , by themselves and as part of a mezze platter with hummus , pita and kebabs. I often joke that my death row meal would look something like this ! Start with 400g of full fat yogurt . Add 2 crushed cloves of garlic and 1/4 tsp salt and mix well into the yogurt . Place a piece of doubled cheesecloth or soft cotton fabric (preferably undyed and clean) over a deep bowl. 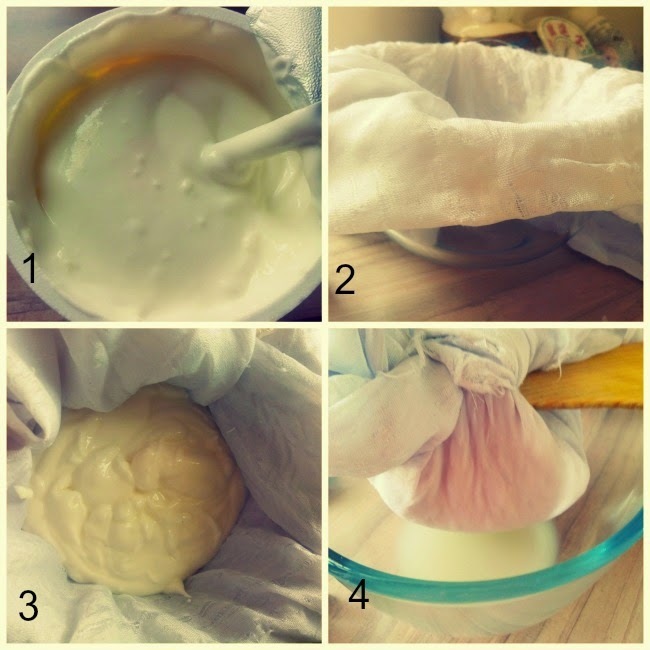 Spoon the yogurt in the center of a piece of the cheesecloth. You can also pull the corners of the cheese cloth up and tie them tightly and then suspend from a stationary object over a bowl (to collect the whey) . Leave to drain for 24 hours in the refrigerator . Remove from the cloth and roll into balls using your palms. 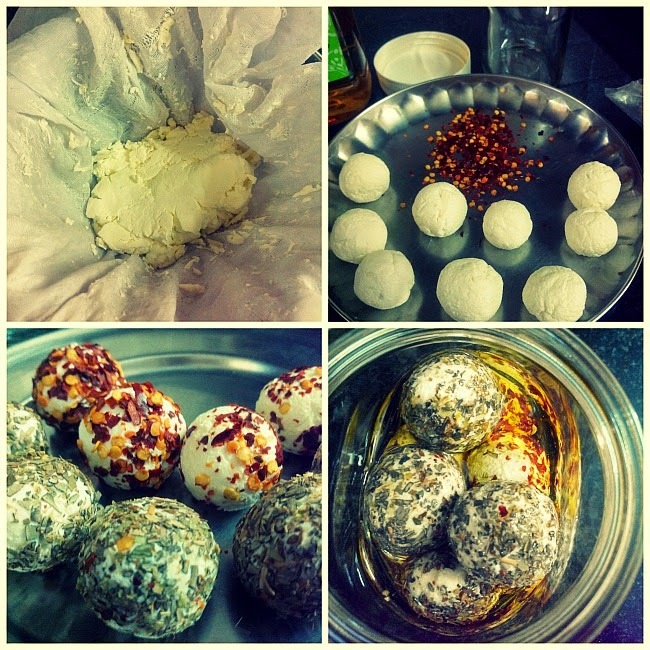 Roll into dried herbs I used red chilli flakes and dried Italian herbs . Now place the yogurt balls in a sterile, air tight jar, cover with olive oil. 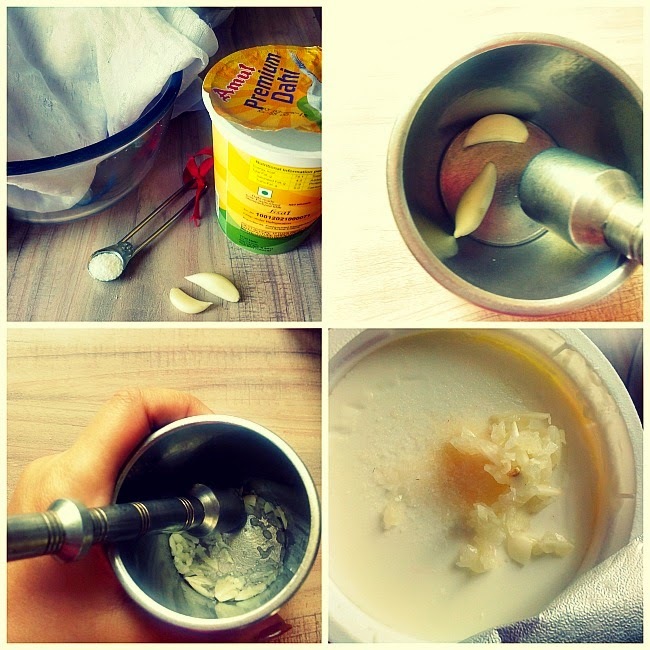 Store in the refrigerator preferably use after 6-7 hours so that flavor get a chance to infuse . Stays well in the refrigerator for 5-7 days as long as the yogurt balls are always covered with olive oil and no water enters the jar . As a spread on toast , by itself , with kebabs , with pita bread and hummus! A Porcelain platters and bowls is an ageless expansion to your eating table. Our Hand Painted Porcelain stoneware are ideal for all the dining and formal supper.